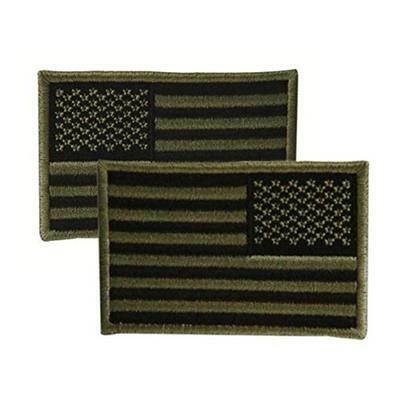 designed for use on U.S. military uniforms, but also look great on caps, vests, bags and packs Velcro on the back and are ready for immediate use facing right (normal), facing left (reversed) 3" x 2"
Two piece hook-n-loop attachment. Fits: caps, uniforms, vests, gear bags and more. Flags available facing Left or Right. Please specify color and left or right size. Dimensions: 2\x3\""